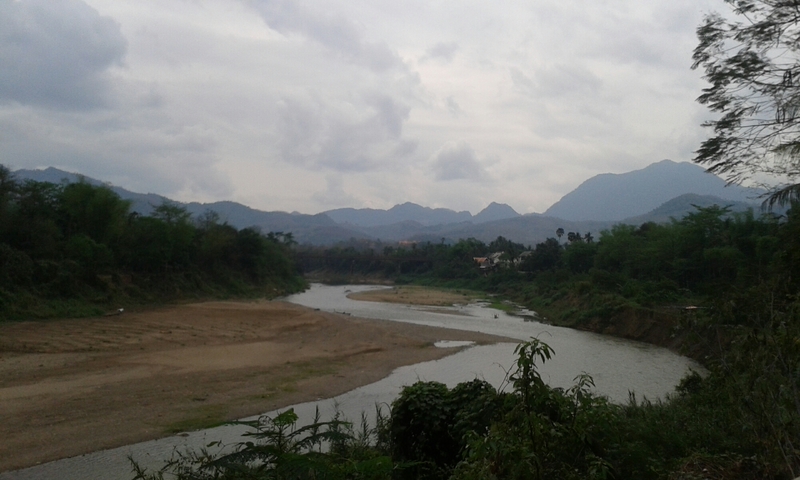 Luang Prabang: Elephants, Kuang Si Falls and Tak Bak Ceremony – Where's Walton? When booking the cheapest transport possible from Vang Vieng to Luang Prabang, we were startled when the fanciest mini bus I’ve ever seen in Asia turned up. 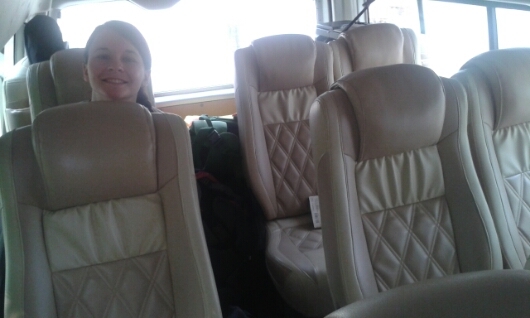 A ‘brand new’ eleven seater mini bus which was CLEAN and had light brown leather seats. But however nice the mini bus was, the aircon wasn’t working that day so the midday heat, in a full bus, going up windy roads up a mountain was unbearable. It was the muggy sticky kind of heat that makes you bathe in your own sweat. No one spoke, made a sudden movement or eye contact on that journey. 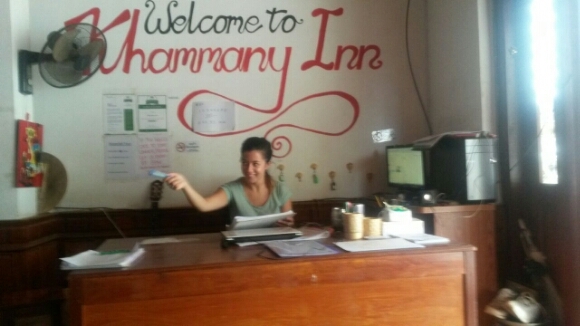 After checking into the Klammany Inn, we started to look up things to do whilst we were here and it would appear there are plenty of little activities you can do in Luang Prabang… if you like arts and crafts there’s knife making, jewellery making and Laos cooking classes. If you like culture there’s a museum, the Tak Bak monk ceremony, various temples (of course) and even a temple at the top of a hill to overlook the whole city. You just need to pay 20,000 kip to do the walk. 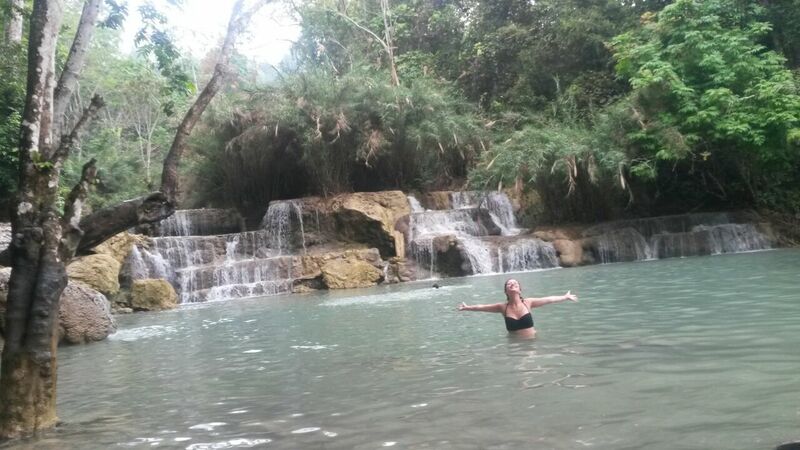 And then for trips around Luang Prabang via tours (or renting your own scooter) there’s the Kuang Si waterfalls, various villages as well as elephant and bear sanctuary’s. 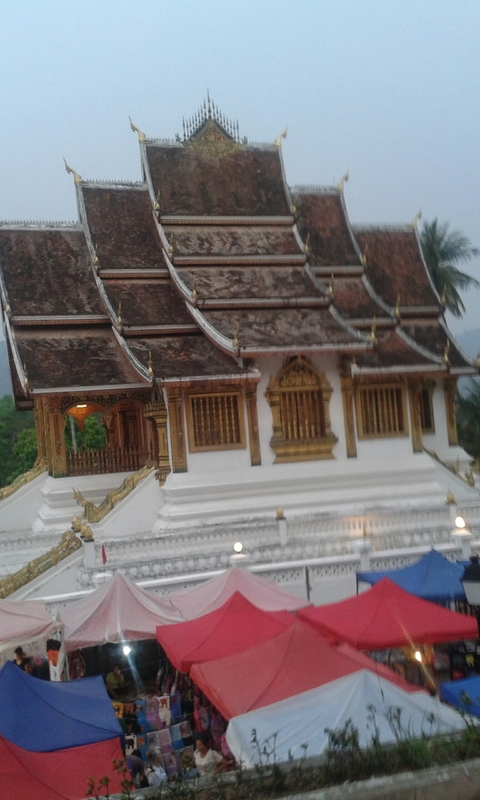 First impression of Luang Prabang is that it feels like the most touristy town out of the three places I’d seen. The tourists are also a mixture of backpackers, families and retired people so it caters well for tourism – but a little bit more expensive, especially if you eat in restaurants. The first evening we met Wolfgang in our dorm room. He is a political author and he was the happiest German man I’ve ever met. Very jolly and happy to meet everyone and very excited to go out and explore. So we took a walk over to the food market for dinner which is an ally way down from the big night market. Here you will find vendors with buffets of food to choose from… you simply get a bowl and fill it up for 15,000 kip (£1.30). 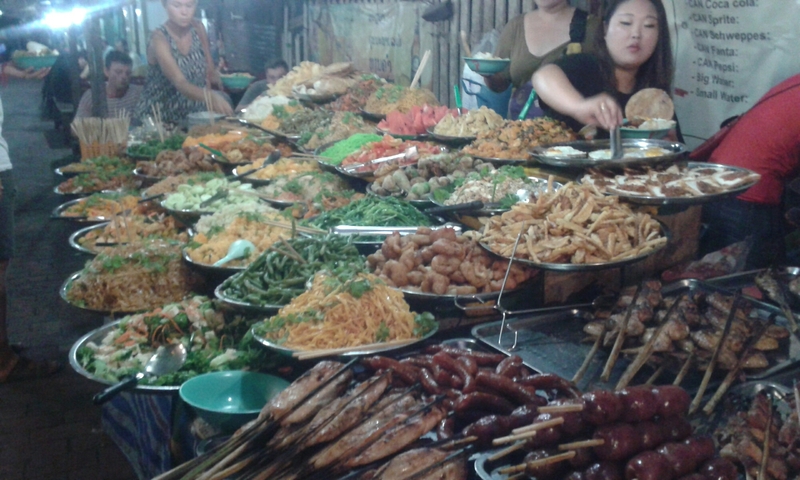 As good as everything looked (sat out for hours with flies everywhere for people to eat), it was mainly veggie dishes so I went off to the meat on a stick section, (my favourite section) and haggled for some chicken wings and pork. Dinner was sorted! After dinner we got some ice cream and took a walk around the market. 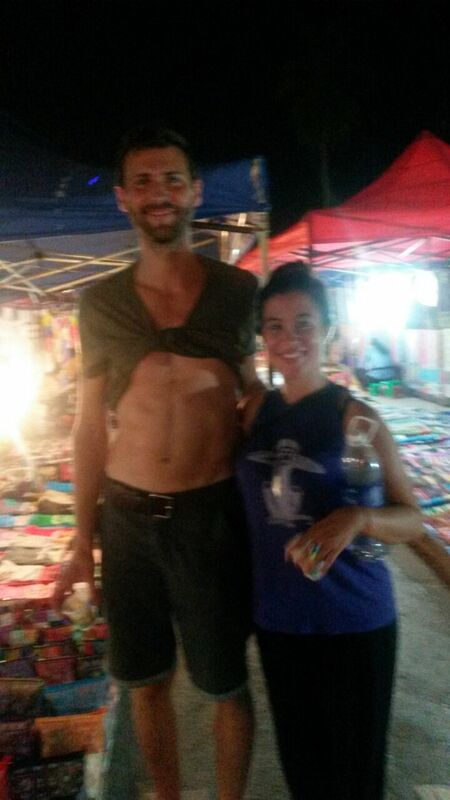 This is probably the BEST night market I’ve been to in Asia (and I’ve been to a lot). The stalls don’t bother you as much as they do in Vietnam, China, Cambodia, Thailand etc, they just let you look without too much hassle. Also the quality of products (mainly souvenirs like bags, magnets, clothing etc) is amazing quality. 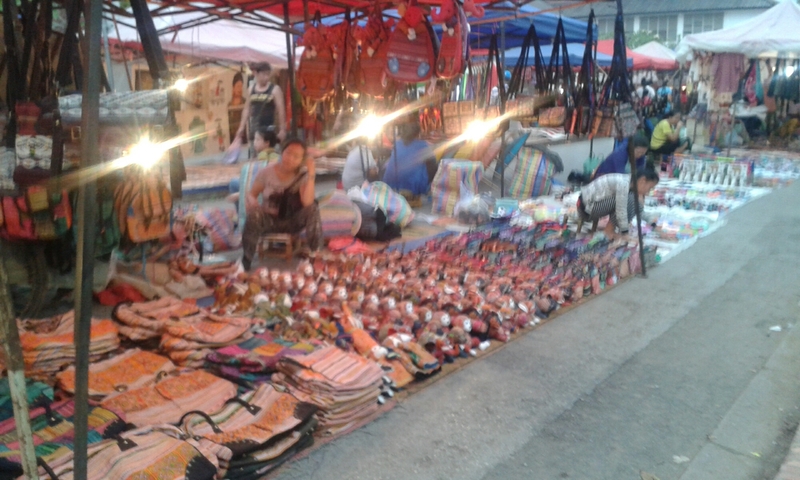 If you don’t buy anything the market is just nice to look around – so colourful. Wolfgang embraced the Asian culture… this is what the men do when it gets too hot. The next day we woke up at 5am to see the Sunrise Alms Giving also known as the Tak Bak Ceremony. 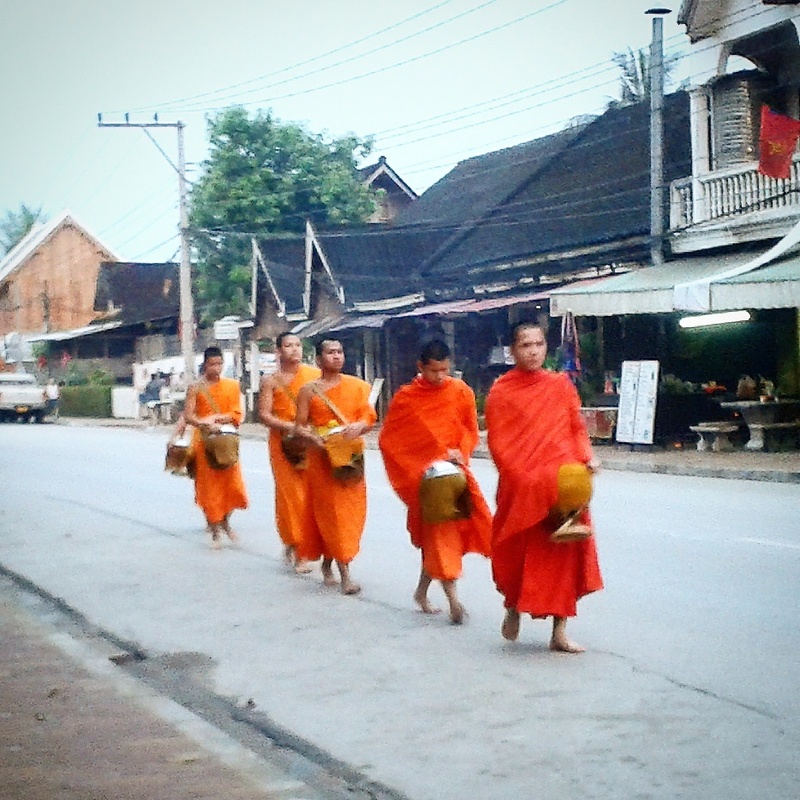 The Tak Bak Ceremony is a ritual where Buddhist locals and tourists can offer food to the monks at sunrise as they walk around town during their morning meditation. Tourists are welcome to observe this, however, it is important to not disrupt the ceremony or to simply see it as an opportunity to take pictures of the monks. You need to keep a respectful distance, dress respectfully and it is advised to not buy food/gifts from sellers to give to monks… if you are giving its better to make your own. This ceremony is under threat to get cancelled because of how tourists behave during it. 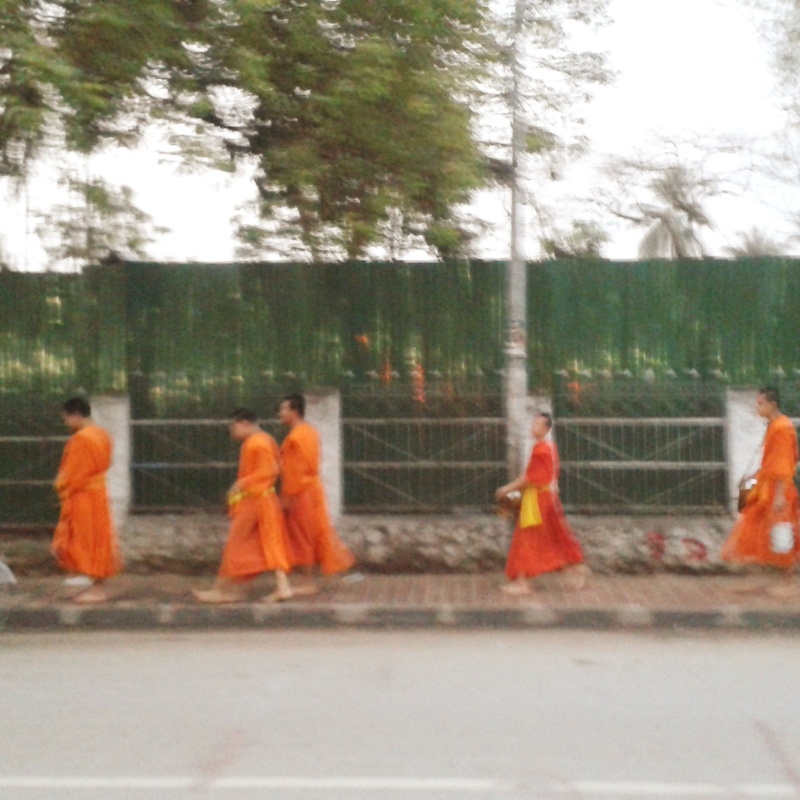 Many people get up close and use flash photography which disrupts the monks meditation, which we annoyingly saw on the day and so we did our best to stand back on the side of the road. It only lasts about 2 minutes but I do think it’s worth while seeing and reading up about the do’s and don’t of the Tak Bak Ceremony. 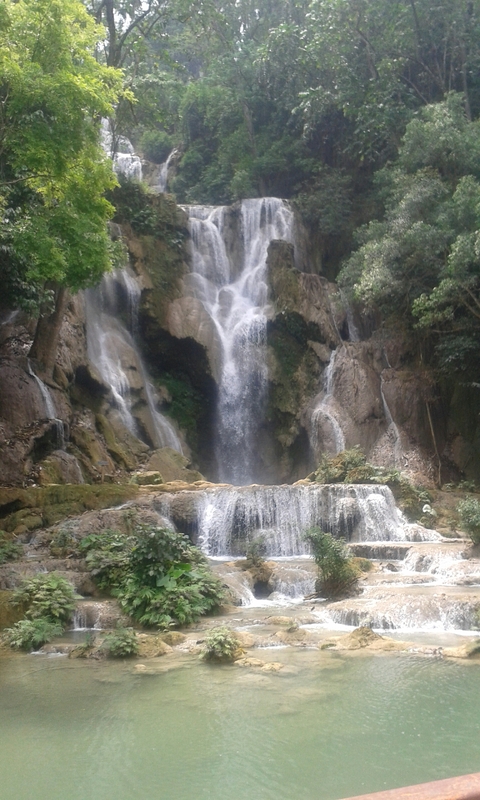 A few hours later (feeling a bit sleepy with our first early morning in a while) we visited Kuang Si Falls. 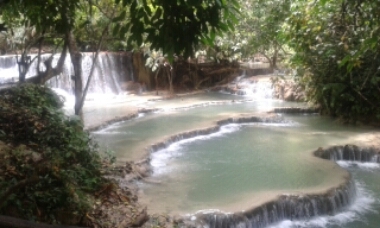 There’s lots of beautiful turquoise waterfalls to see at this place and also a Bear Sanctuary at the entrance. 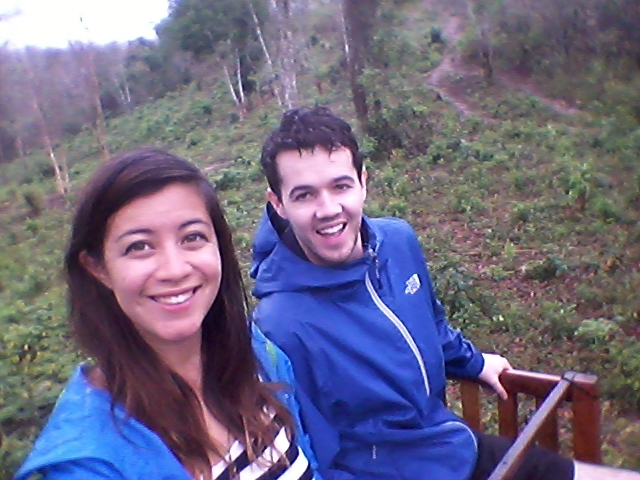 We wandered about, hung out with the bears and had a dip in the freezing pools. 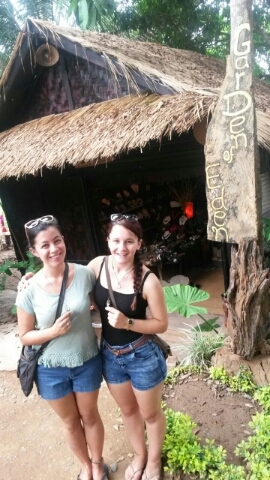 At Kuang Si we had lunch with two Aussie girls aged 17 (the youngest travellers I’ve met so far) where Bekki and I got asked if we were “more than friends”? After an awkward long pause and the exchange of confused faces we realised we probably have been spending way too much time together. That evening we were reunited with John from Belfast who we had met in Vientiene. 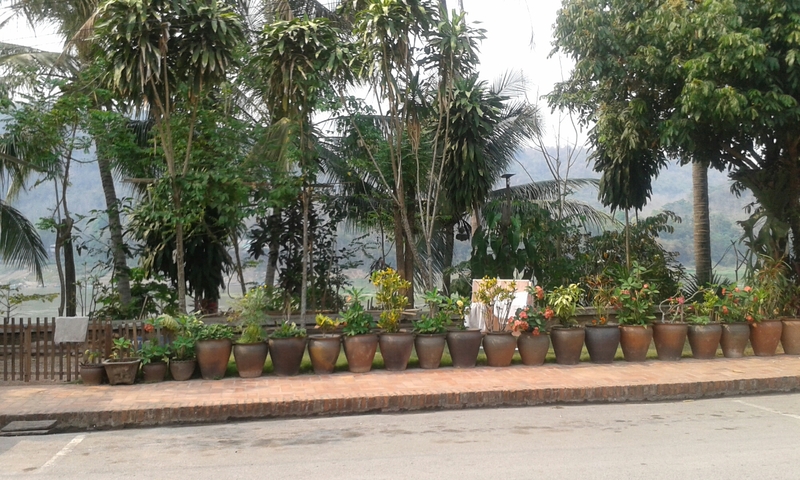 We had dinner at the food ally again and headed out for a drink then to Utopia, the ‘to go’ bar in Luang Prabang. We were joined by Dave (Klammany Inn owner and Dave’s mate from home), Wolfgang (the happy German mentioned earlier, Bekki (because we are joined at the hip/more than friends?) and Fernando (from Brazil). Fernando did a few odd bits of filming that evening and showed us some of the videos he had made on his trip – I am gutted I didn’t invest in a Go Pro before my travels! His little movies made me want to go travelling…. I AM TRAVELLING!! New aim… film more, take less pictures. The next day John, Bekki and I decided to go for a wander based on advice we had been given… Bekki and I wanted to make something so we headed to a “free” jewellery making shop across town. We had a couple of bridge dilemma’s on the way there. 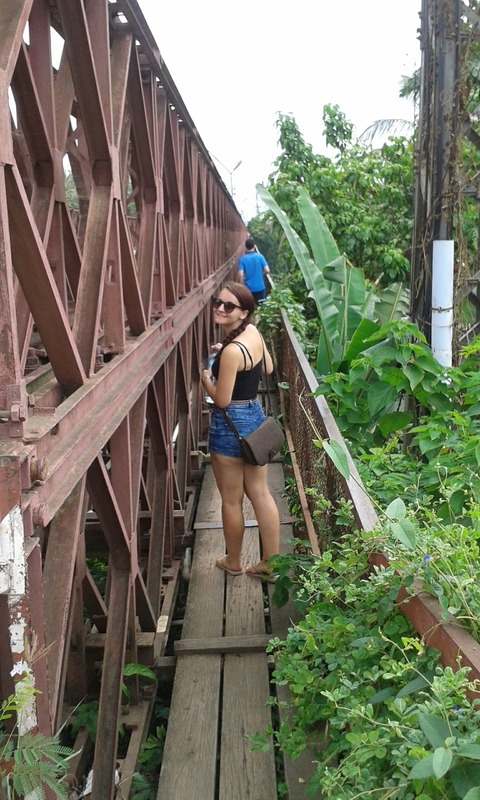 The first bridge we came to was ‘questionable’ to say the least, it looked like it was on it’s last legs. To make matters worse, it was going to cost us a whole 5,000 kip to cross. Looking back, it does baffle me that I walked away from crossing a bridge to save myself 50p, but hey, we’d have to come back across it as well and none of us wanted to. Don’t worry guys, we made it. As usual we sang Taylor Swift to keep us going. On the other side of the river, the jewellery class wasn’t what we expected it to be… basically you look around a shop, chose something you like and instead of buying it you make it at the same price. But we didn’t cross a bridge for nothing… we found some swallow bird earrings and made necklaces from them. The lady helping us asked Bekki and I… Are you both twins? First we’re a couple, now we’re twins. 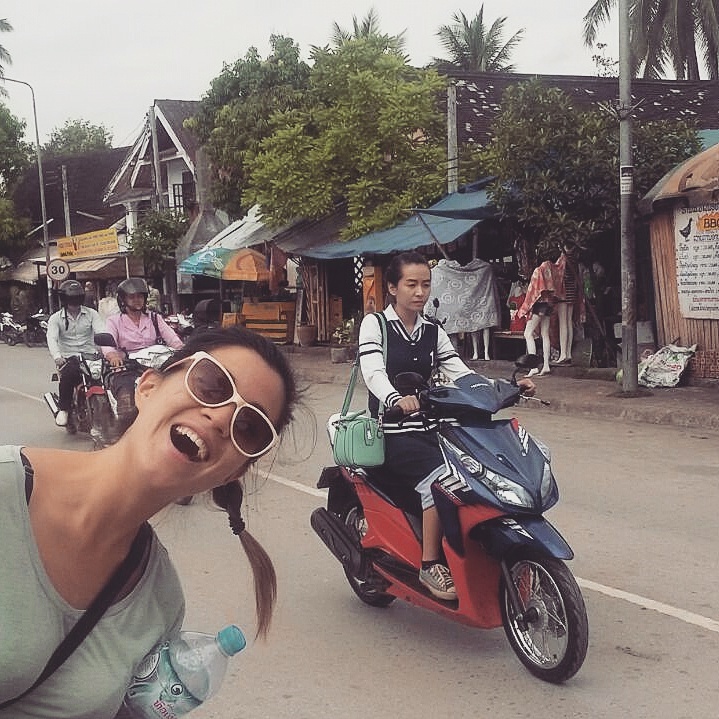 After this we headed back to the hostel where I failed at my first attempt at a “job” for the first time in 6 months manning the reception desk. I don’t think the Polish couple looking for their passports were best pleased that I couldn’t find them. 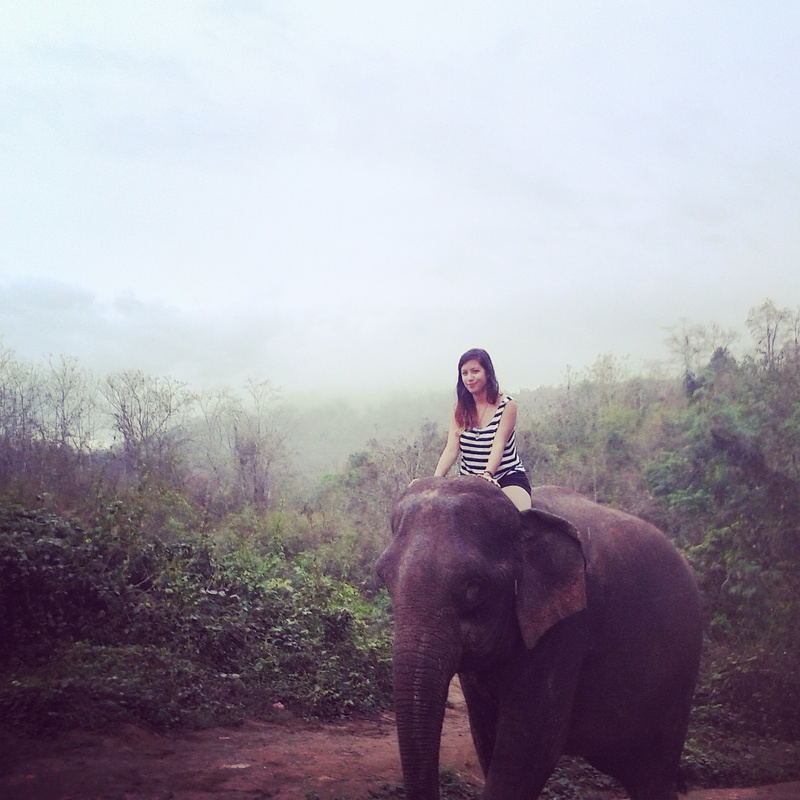 My final day in Luang Pranbang was spent with John and elephants. 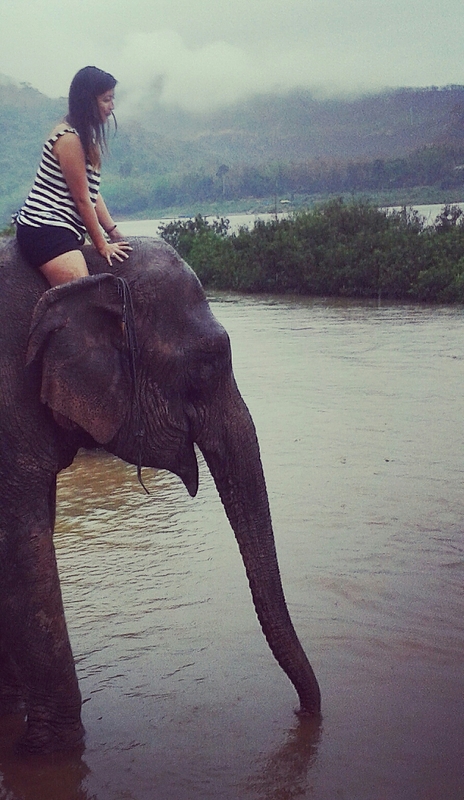 We had a booked a elephant ride and wash. After doing an elephant ride in Thailand a few years ago I had my reservations about doing this. You read up about poor treatment of Elephants all the time. But after looking at reviews online, all seemed positive so I decided to give it a go. It was good… John and I rode together for a bit. 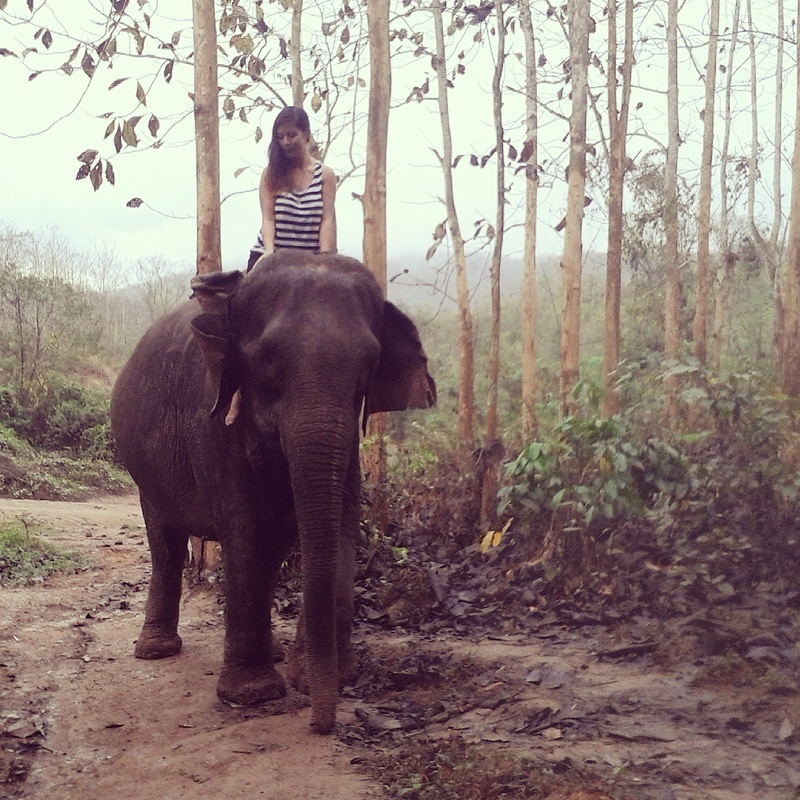 Fed our elephant (Bruce) some bananas and then we had another ride around the jungle by ourselves and one guide. 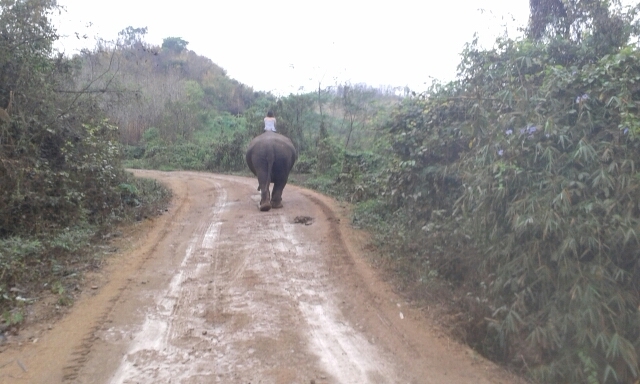 For the first time in a long time I was feeling brave and rode alone on the elephant… or maybe my guide was a bit lazy/crazy because he decided to leave me to it. 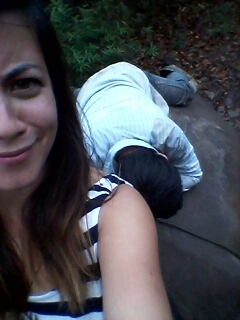 At one point he got on the back of my elephant and napped. We ended the afternoon bathing the elephants. Would I do this again, no. 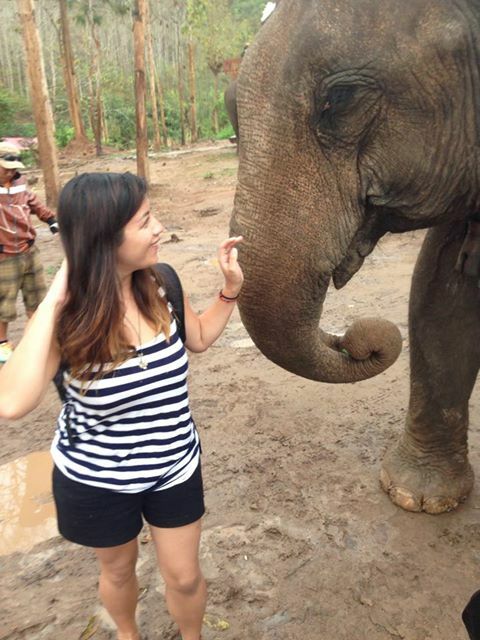 At first I was thinking the treatment of the elephants was good, they weren’t hit or badly treated from what I saw. The trainers/guides shouted instructions like ‘Pye Pye’ where the elephant would know when to move and there are different sayings for ‘stop’, ‘left’ and ‘right’. But Bekki cleverly pointed out, how do you think they learnt that? I don’t even want to think about it. I did have a very good day and it was all for $22 (haggled down from $30) including a veg free lunch. A big thanks to Dave for putting up with us in his hostel, downloading a film for us that we didn’t watch and for asking so many questions. And farewell to Dave from Belfast, try not to miss us too much and try to eat street food – it won’t kill you (famous last words)! 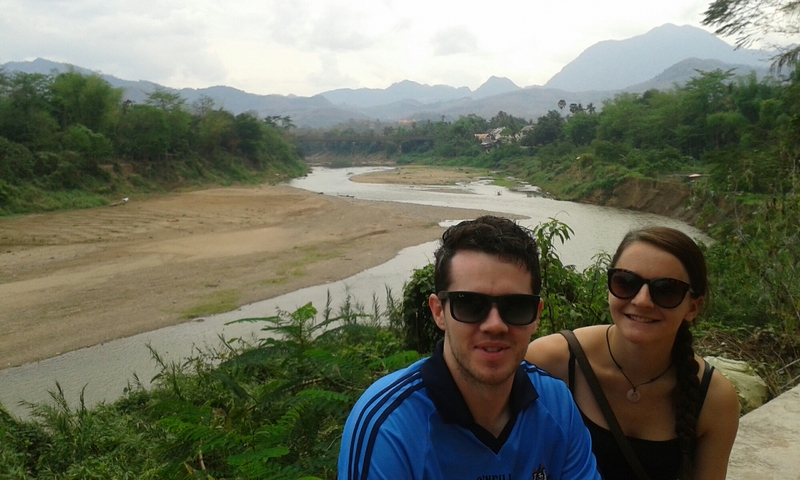 So that is our Laos adventure completed, it’s amazing what you can achieve in a week in one country! 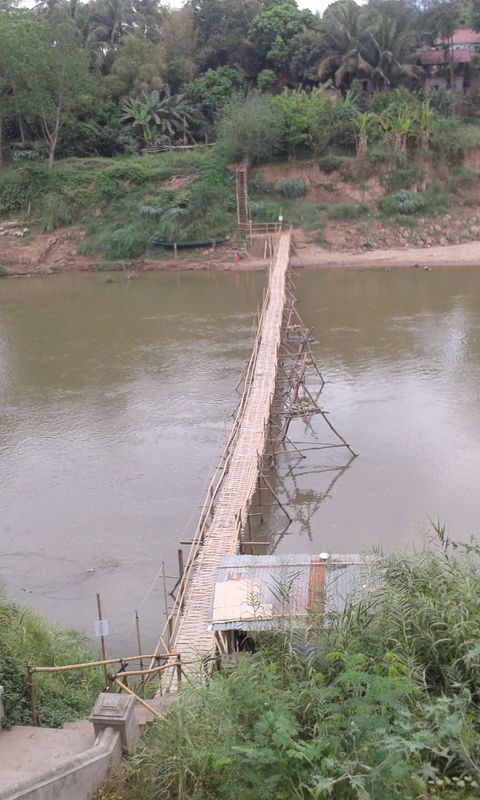 Laos was not on my original plan at the start but with all the wonderful things I had heard about the place, the local people, the scenery, I had to go see it whilst I was on this side of the world.